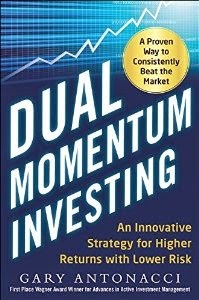 "Fact, Fiction, and Momentum Investing"
1) There is overwhelming evidence from scores of studies showing that momentum returns are stable and robust. 2) There is little difference in performance between the long and short sides of momentum based on factor model regressions. Based on average returns versus the market, the long side has contributed more to momentum profits. 3) As for working only among small caps, this is true only if you replace the word "momentum" with the word "value". Two of the authors, Israel & Moskowitz, wrote an important paper last year called "The Role of Shorting, Firm Size, and Time on Market Anomalies" that showed this. That paper was the subject of my post, "Momentum...the Only Practical Anomaly?" Momentum works well across all size stocks. 5) Several studies show that even though momentum with individual stocks can have 5-10 times the annual turnover of value strategies, momentum actually has a similar tax burden. This is because momentum holds on to winners and sells losers, which avoids short-term gains in favor of long-term ones. Momentum also has a lower dividend exposure than value. 6) The authors point to papers showing that momentum works better as a factor-based approach than as a screen-based one. 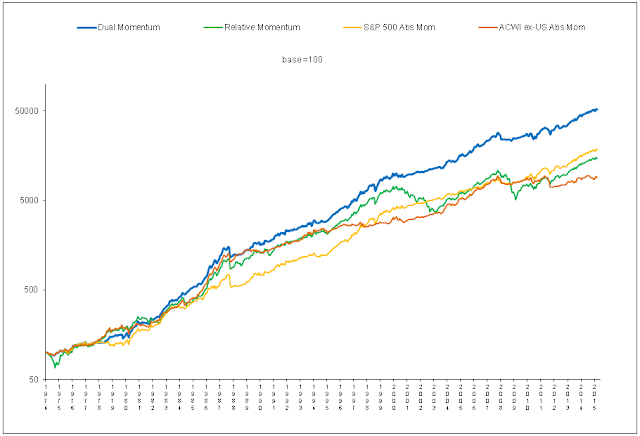 7) As for momentum's returns disappearing, one can say the same of any anomaly. Abnormal momentum returns have survived though for the past 200+ years. Momentum has held up to considerable out-of-sample validation across time, geography, and asset type. The authors point out, "There is no evidence that momentum has weakened since it has become well-known and once many institutional investors embraced it and trading costs declined." 9) The authors agree that different measures of momentum can give different results, but they point out that this is true of any strategy. They say that different measures of momentum giving good results are a sign of robustness and not a cause for concern. 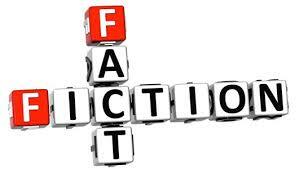 The authors point out that most of the above myths can be shattered by a quick visit to Kenneth French's data library website. It is refreshing to see the authors, brought up in the Chicago efficient markets tradition, take on the challenge of those who say momentum profits cannot persist (despite plenty of evidence to the contrary) because that would contradict the theory of efficient markets. The authors point out that rejecting data because of a theory (or a one-sided view of the world) can be dangerous. They point to Columbus, Galileo, and the Salem witch trials as examples. Bravo! The only problem I have with their paper is that the authors, perhaps aware that risk-adjusted momentum profits from individual stocks have been uninspiring over the past thirty years, point out that momentum works best when combined with value because of the low or negative correlations between the two. These low correlations were determined using long/short portfolios of both value and momentum. Few actually invest that way. Long only investing is different. Also, we can see in the Israel & Moskowitz study that value holds up only among the smallest stocks that represent only 10% of total market capitalization, and these are impractical for most investors to hold. The authors used a small proprietary data set of long/short momentum portfolios. Lesmond et al. and Korajczyk and Sadka found that transaction costs could negate most of the profit from momentum using more focused stock portfolios.